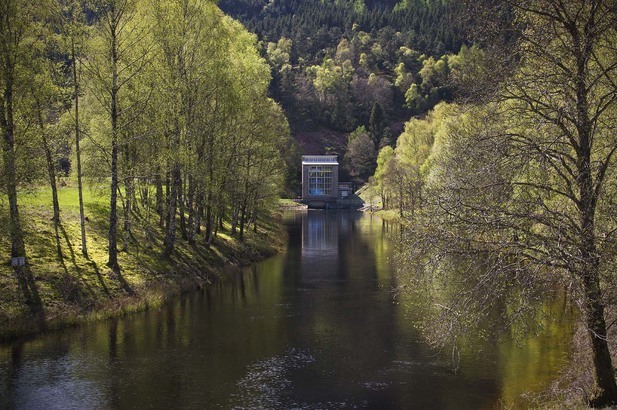 Water for the turbines at Dalchonzie power station comes through a tunnel from Loch Earn. 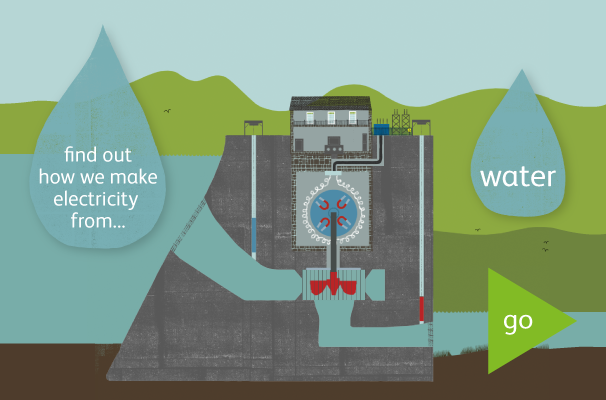 Architects carefully designed power stations and dams for hydro schemes. These structures had to enhance or blend into the Highland landscape to be accepted by local people. In the 1940s, hydro power brought electricity to rural Scotland and transformed the way people lived. Today, we care for this legacy but also invest in the future through new hydro stations and wind farms. The Breadalbane scheme centres on Loch Lyon, Loch Earn and Loch Tay. This mountainous region contains several deep glaciated valleys with high peaks well above 900 metres. The steep slopes and heavy rain and snowfall are ideal for producing hydro power. The snowfields act as ‘nature’s batteries’, storing water until the snow melts. The scheme began generating power in 1956, with the entire scheme in place by 1961. Today it contains three sections – Lawers, Killin and St. Fillans – with seven main power stations.